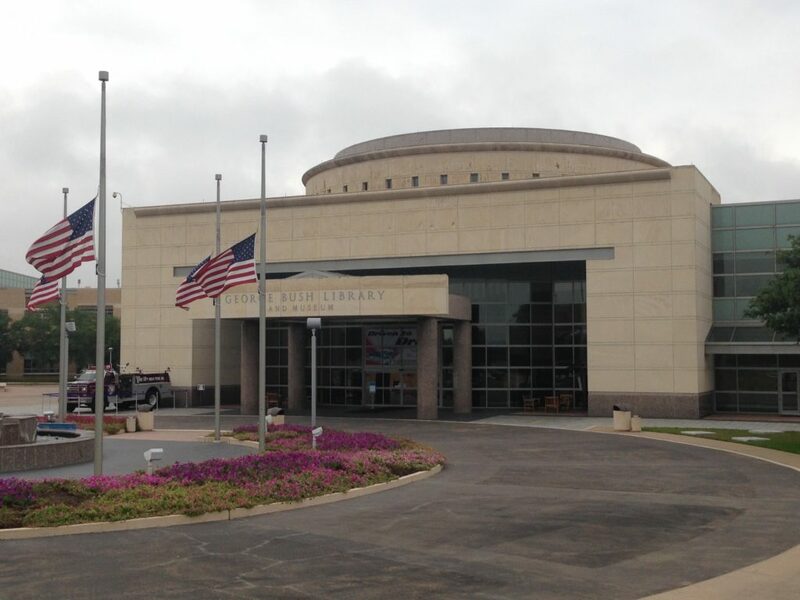 A photo of the George Bush Library and Museum in College Station, Texas. The flags were flying at half-pole for Memorial Day in 2016, but it makes the picture appropriate for today. This entry was posted in Obituaries, Presidents, Texas, Travels by jgood. Bookmark the permalink.